The global shift towards making research findings available free of charge for readers—so-called ‘open access’—was confirmed today in a study funded by the European Commission. This new research suggests that open access is reaching the tipping point, with around 50% of scientific papers published in 2011 now available for free. This is about twice the level estimated in previous studies, explained by a refined methodology and a wider definition of open access. The study also estimates that more than 40% of scientific peer reviewed articles published worldwide between 2004 and 2011 are now available online in open access form. The study looks at the EU and some neighbouring countries, as well as Brazil, Canada, Japan and United States of America. Concerning open access policies, the report found that the majority of 48 major science funders considered both key forms of open access acceptable: open access publications in journals (referred to as “gold” and “hybrid” open access) and self-archiving (referred to as “green” open access). More than 75% accepted embargo periods – that is the gap between a publication and it becoming freely available – of between six to 12 months. The third study found however that there are currently still fewer policies in place for open access to scientific data than for open access to publications. Open access to research data is rapidly evolving in an environment where citizens, institutions, governments, non-profits and private companies loosely cooperate to develop infrastructure, standards, prototypes and business models. Under Horizon 2020, the EU’s Research & Innovation funding programme for 2014-2020, the Commission will also start a pilot on open access to data collected during publicly funded research, taking into account legitimate concerns related to the grantee’s commercial interests, privacy and security. 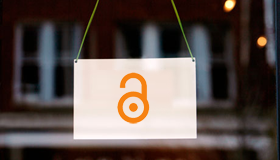 researchers will make their articles available through an open access repository no later than six months (12 months for articles in the fields of social sciences and humanities) after publication (“green” open access).